Cosmelan is a gentle, safe and highly effective chemical peel formulated to regulate overproduction of melanin in the melanocytes, using 5 active lighteners and over 50 antioxidants and peptides. This peel is safe for all skin types, and helps to brighten and lighten pigmentation such as sun damage, melasma, age spots, and various other triggers of hyperpigmentation. Most patients do have some peeling starting between days 3-5 that could last up to one week. Amount of peeling typically depends on the amount of pigment that you have. Cosmelan is safe for all skin tones and ethnicities, so anyone looking for a smoother, more even complexion could be a possible candidate. Patients should make sure they fully understand the peel process and post procedure care. The skin is cleansed and prepped. The Cosmelan 1 mask is applied to the face in a thick layer. Some light tingling or stinging may occur, and will dissipate quickly. Mask will be left on the skin for an amount of time that your treatment provider will recommend depending on the severity of the pigmentation. This could be anywhere between 6-12 hours. Post procedure products will be given to you and your provider will go in depth on instructions to best enhance your results. After the specified time, the mask will be cleansed off with a gentle cleanser. Immediately after you will apply the provided Hydra-Vital Factor K to help moisturize and calm the skin. 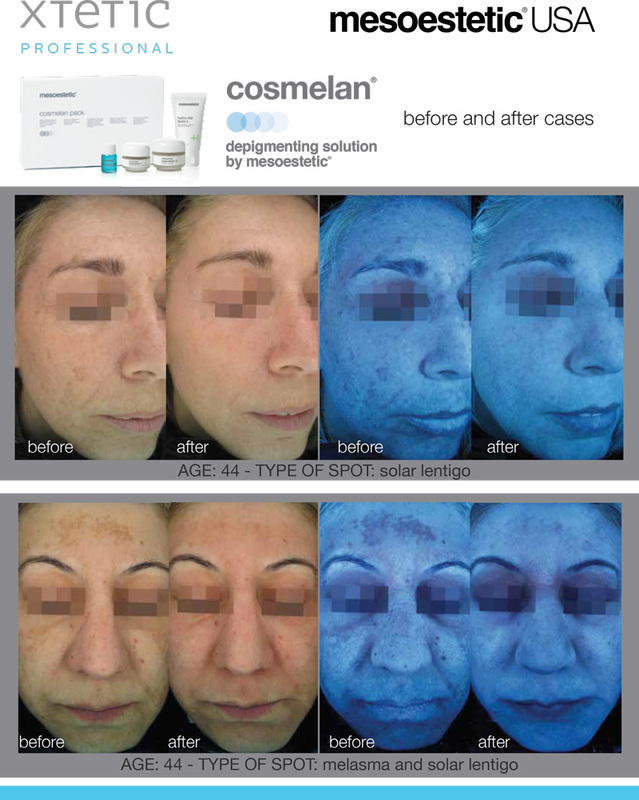 The provided Cosmelan 2 may be applied 2 days after your peel procedure, and can be applied 2-3 times daily. This continues the depigmentation results and limits the production of new melanin. Peeling typically begins 3-5 days after the peel and can last a week. 14 days after the peel you may slow the use of the Cosmelan 2 to once daily. At the 3-4 week mark, Reapply the remaining part of your Cosmelan peel, that you will leave on for another 6-12 hours. How Often can I repeat this peel? You can only repeat the peel two times per year. It should not be needed to repeat in you continue on the Cosmelan 2 and avoid sun exposure as much as possible. Don’t trust your skin with just anyone, at Seychelles we understand everyone’s unique skin types and tailor each Cosmelan Depigmentation Peel to the specific needs of our patients. 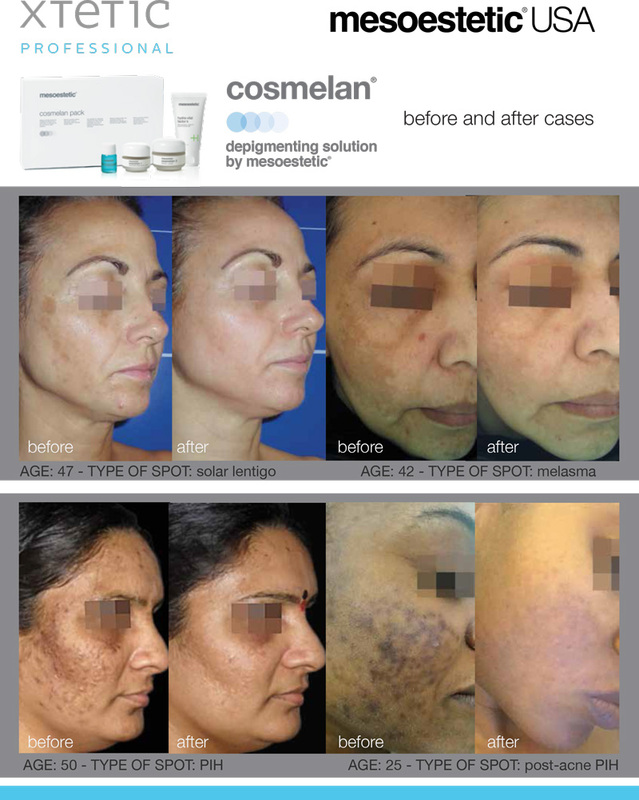 Looking to Get a Cosmelan Depigmentation Peel in The Woodlands, Spring or Houston Area?